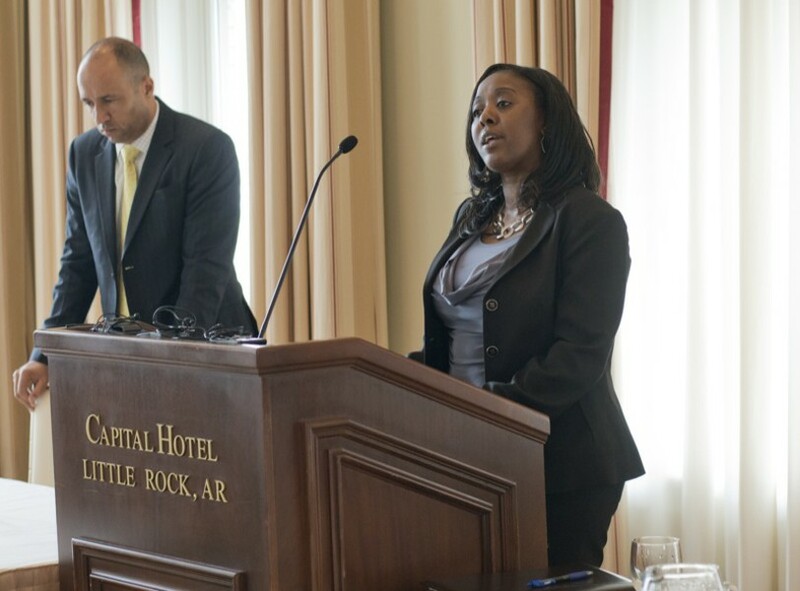 This morning, lawyers filed a federal civil rights lawsuit over the shooting death of Bobby Moore, the African-American teenager killed by former Little Rock Police Department officer Josh Hastings at a West Little Rock apartment complex almost three years ago. The suit — brought by Moore’s mother, Sylvia Perkins — names as defendants Hastings, former LRPD chief Stuart Thomas and the City of Little Rock. Hastings confronted Moore after an apparent break-in on August 12, 2012 and shot the 15-year-old as he attempted to flee the scene in a car. The officer claimed at the time that Moore was trying to run him down with the vehicle. It was later determined by the police that Hastings’ version of events was untruthful, and he was fired from the force. However, two criminal trials against Hastings ended in mistrials after juries failed to reach an agreement over whether to convict him for manslaughter. “To the casual observer, it might seem that while this was a tragic shooting, the LRPD stepped in and did the right thing,” Laux acknowledged. “After all, they performed an objective investigation, they determined that one of their own unjustifiably shot and killed a 15-year-old boy, and then they terminated the offending officer.” But, he argued, Hastings should never have been hired in the first place — at the time of his hiring, a fellow officer objected to the fact that Hastings had once attended a Ku Klux Klan rally in his youth — and his conduct while on the force showed that he should have been dismissed long before his fateful encounter with Moore. “Hastings was hired and retained in the face of overwhelming evidence that he was not a fit candidate for such an important job — especially in a city where 40 percent of the population consists of African-American folks,” said Laux. The attorney alleged that the LRPD’s long history of clearing officers of wrongdoing has created a “custom of acquiescence to police misconduct and toleration of excessive force, over years and years, one that causes officers like Hastings to act with impunity in the field, knowing that their discipline would be nonexistent or disproportionately light. A spokesman for the LRPD said that the department had no comment, but that it may release a statement at a later time. Perkins, seated beside her lawyer, spoke briefly to reporters. “This loss that my family has suffered has been a nightmare. Bobby was my youngest child, and I loved him dearly. 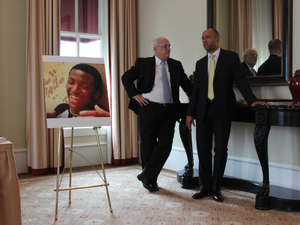 … I cannot bring my son back, but I can make sure that everyone who was responsible for his death is held accountable. Most of all, we want to make sure that this doesn’t happen to anyone else,” she said. Laux elaborated later on the allegations that the LRPD has created a culture in which officer misconduct is tolerated. “Prior to the Bobby Moore shooting, the LRPD had never determined that a police-involved shooting was unjustified. There are officers on the force right now that have rap sheets that are very long and consist of very serious violations … and yet they remain on the force. IN A RELATED MATTER: Circuit Judge Wendell Griffen has scheduled a hearing on Hastings’ motion to seal the investigative record in his case, which the statute allows unless it could present harm to the public or not serve the interests of justice. Seems to me the facts of a police shooting are always a matter of public interest.